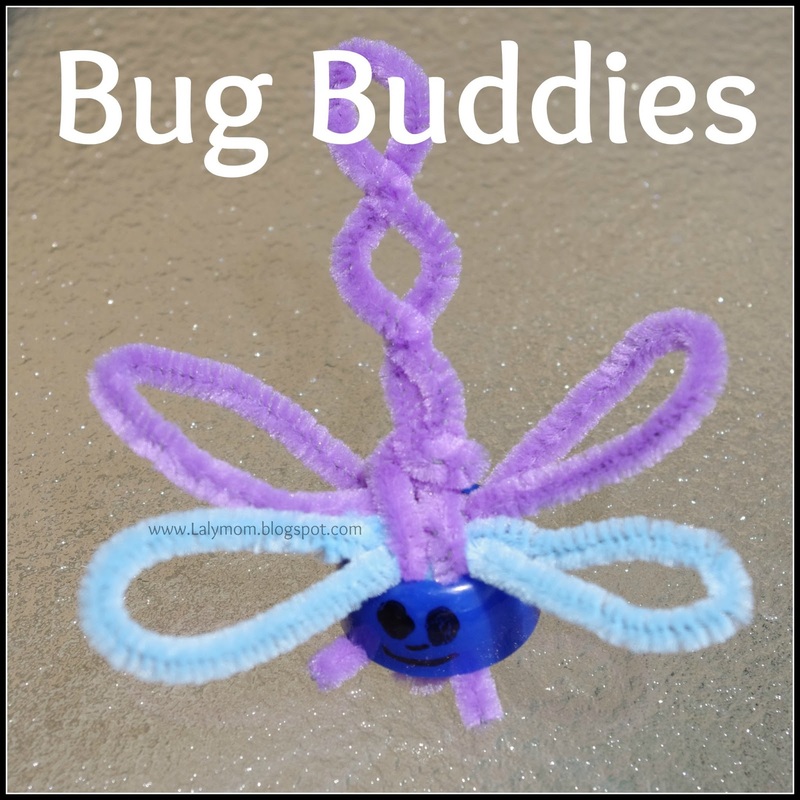 Today I would like to share some simple Spring Crafts for Kids that that can add a fun element of pretend play to your back yard! 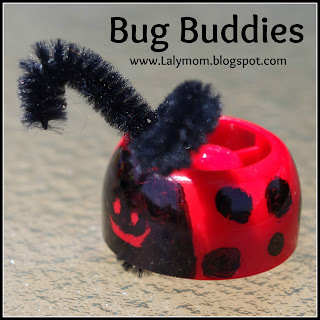 We are getting ready for a birthday party around here and I happen to have ladybug's on the brain. (As you might be able to tell from my Kids Party Pinterest Board!) I don't know what made me think to make this little red babyfood pouch cap into a ladybug, but I did and it sparked a lot of fun at our house. If you would like to make your own all you need are pipe cleaners (or chenille stems) and sharpie markers. I trimmed the pipe cleaners as I went. 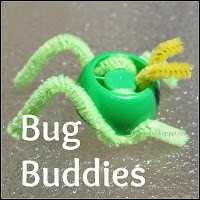 All you do is wrap the pipe cleaners around the spokes of the pouch caps and draw on the faces! 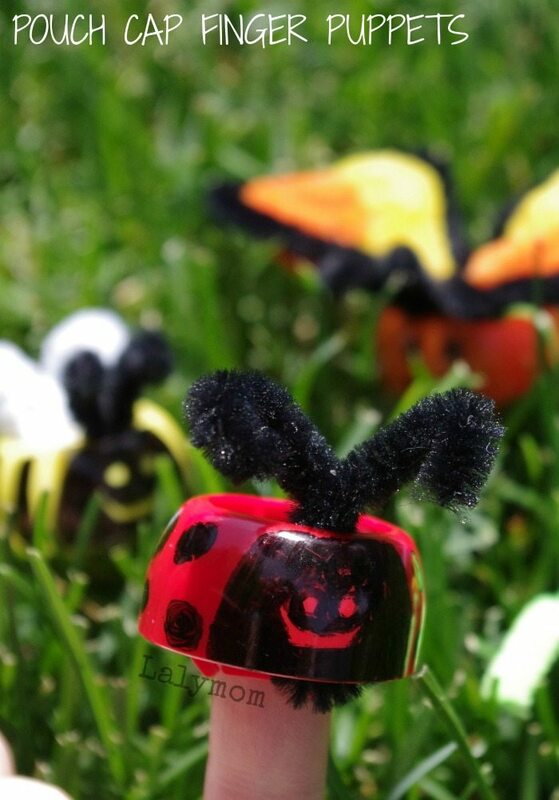 Talk about an easy spring craft! One note about durability. The marker can scratches off easily. You might try paint or perhaps adding a coat of mod podge or something like that on top if you think this would bother your child. Ladybug didn't notice so much but I have touched them up since they have been played with a lot. (edited to add that we have had these guys for about a year and have not needed to touch them up since the first time!) The pipe cleaners can of course get bent as well, but they have held up better than I thought. L: Hi, What's your name? Me: Hi I'm mommy, what's your name? L: Nice to meet ya! Me: Nice to meet you too! L: Are you my mommy too? Over the span of a couple days I kept adding other bugs. She calls them her little buddies. “Mommy, do you want to have a picnic with me and the little buddies?” You bet!…and the Bug Buddy finger puppets were born! Spring Crafts Are For Learning Too! 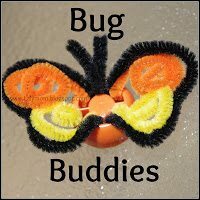 During the seven hundred and twenty two picnics that we have had with these bugs this week, we tried to mix it up every so often. Sometimes the bugs can only eat foods that are the same color as their body. Sometimes they have to wait in line and take turns. Sometimes each of them says a nursery rhyme before eating. These are some very talented bugs. Oh! Also head on over the Educators' Spin On It to see how they used pouch cap bugs with a free printable for some letter learning fun! I hope you enjoy these easy spring crafts and make some of your own! Might as well pin a picture to remember! 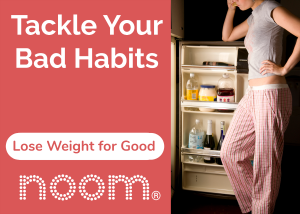 Please follow along over on our facebook and pinterest pages, we'd love to see you again! Previous Post: « Introducing Magic Moments Mondays! This is SO cute! I’ll have to start saving those little tops now. Awwww! SO going to make these! These are just WAY too cute. What a creative idea. 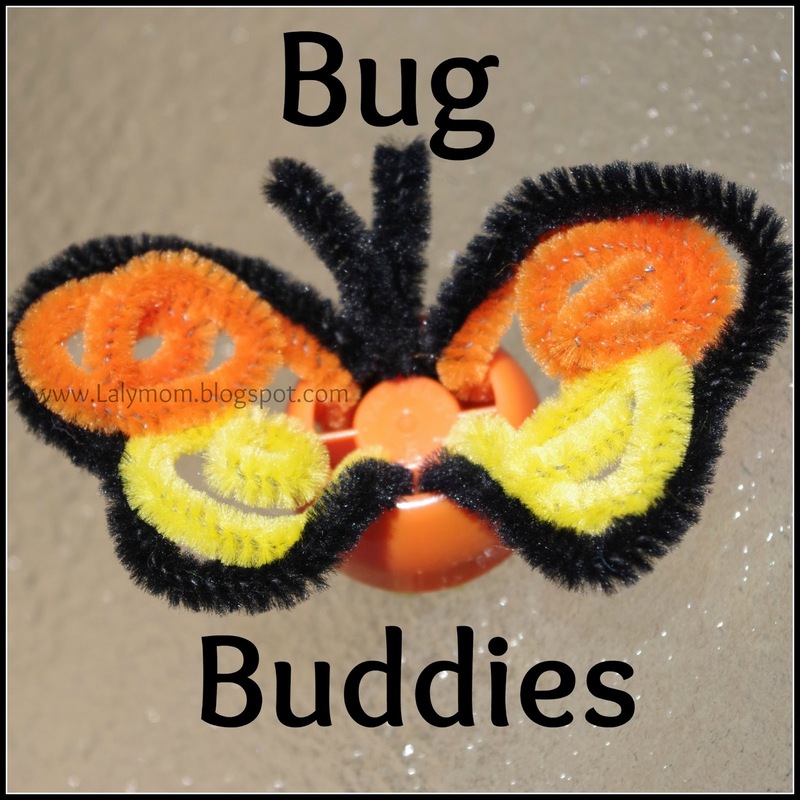 And I love that they are called bug buddies. My son would love this. 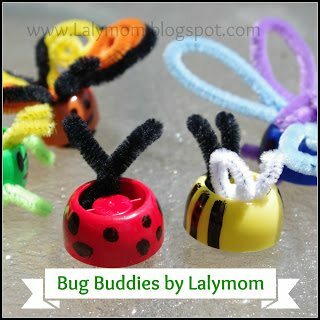 The ladybug and bee are tied for my favorite but they are all so much fun. 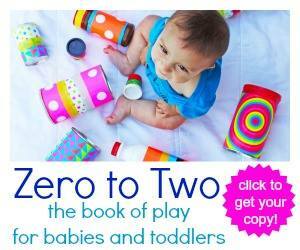 What an ingenious idea – they are so cute. Thanks for sharing on Summer Carnival. Loving the combo of art, nature and the outdoors. Thanks for sharing at the Outdoor Play Party, I’m off to pin. Thanks for the kind words and the pin! I’m loving the outdoor play party, happy to participate! Thanks for the comment, just added it, happy to participate! 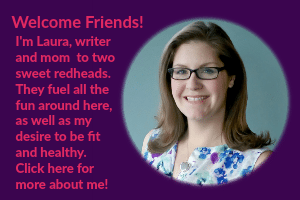 Thanks for the invitation! These are so cute! 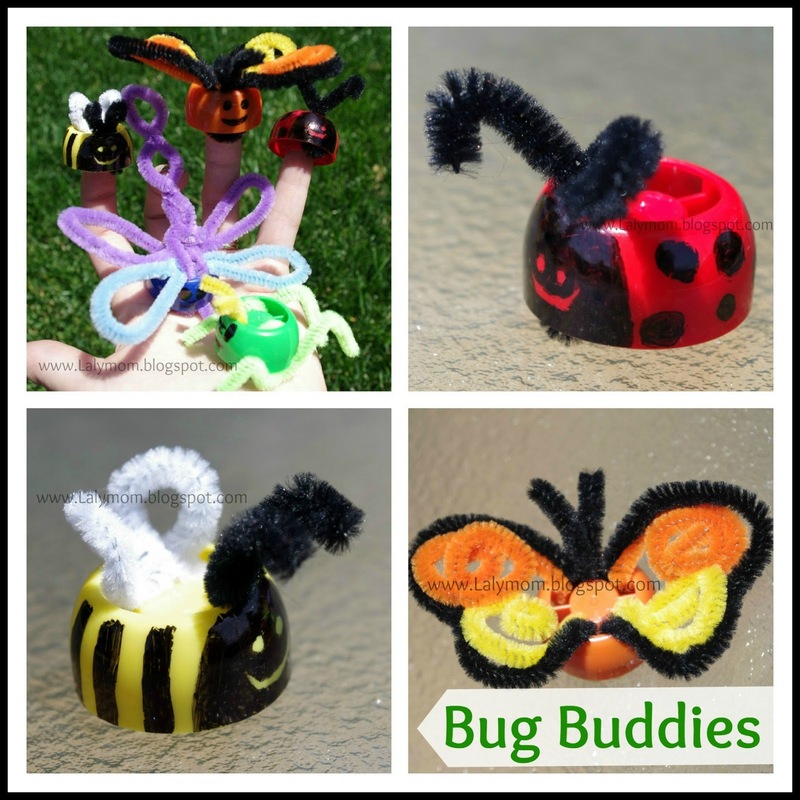 I love that bumblebee and I think my son would have a blast with these 🙂 Thanks for linking up with Mom’s Library this week! Definitely pinning this! These are so super cute! I love the pretend play they seem to inspire with your daughter! These are adorable! And they’ve stood the test of time-perfect! 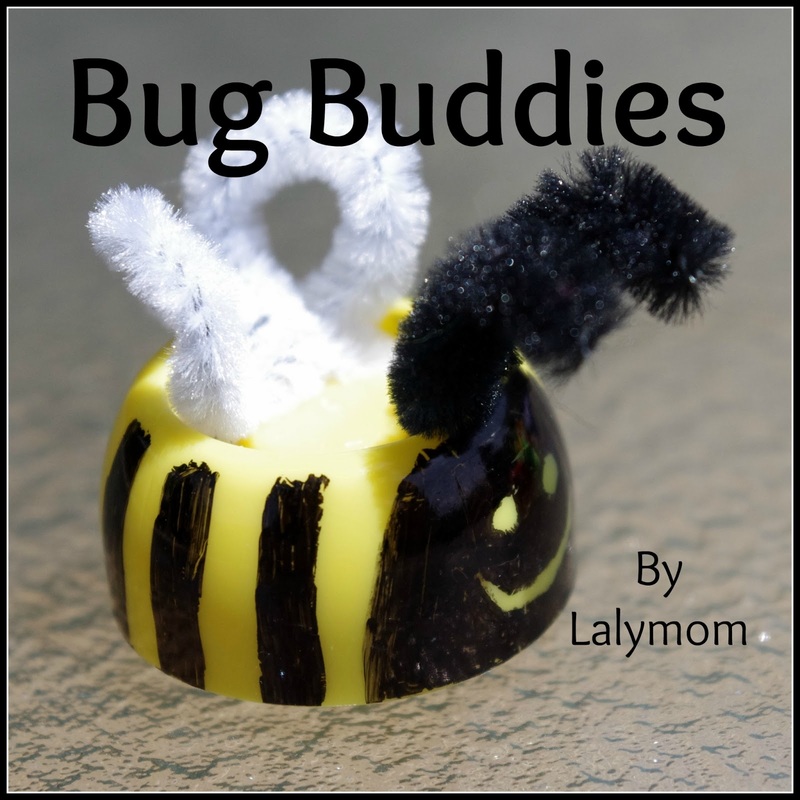 Thank you for sharing with Mom’s Library, I’ll be featuring your bug buddies on Tuesday at Crystal’s Tiny Treasures. Have a super summer!